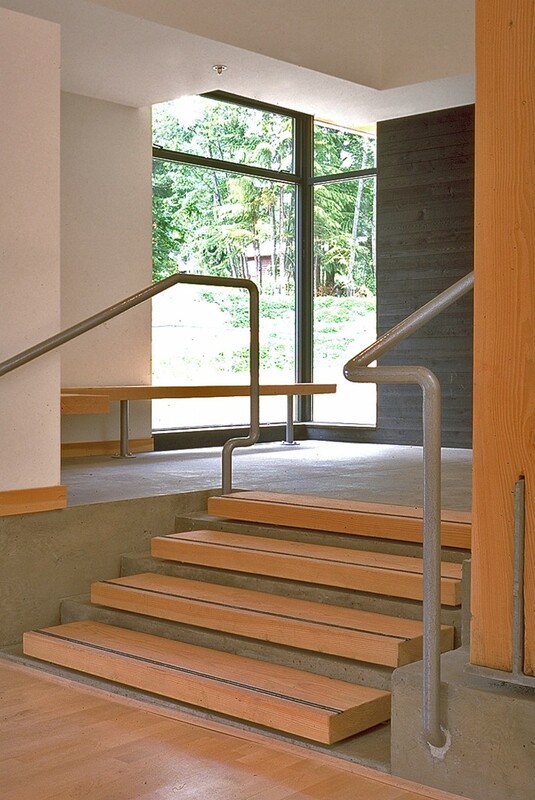 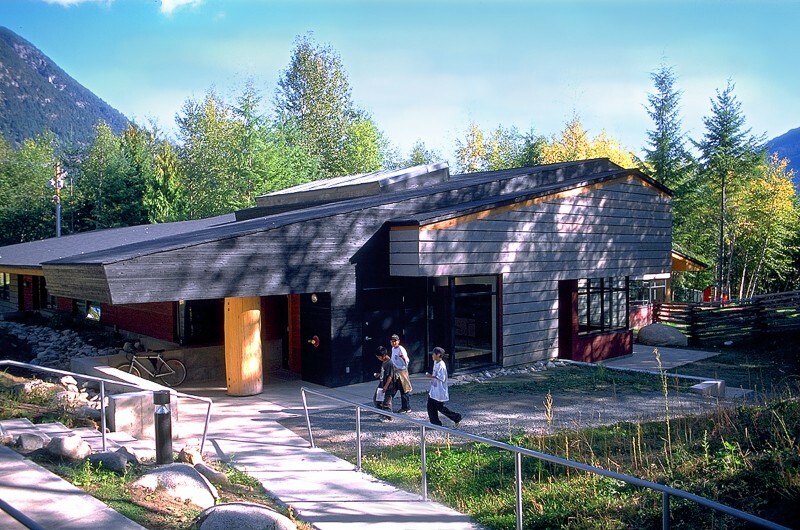 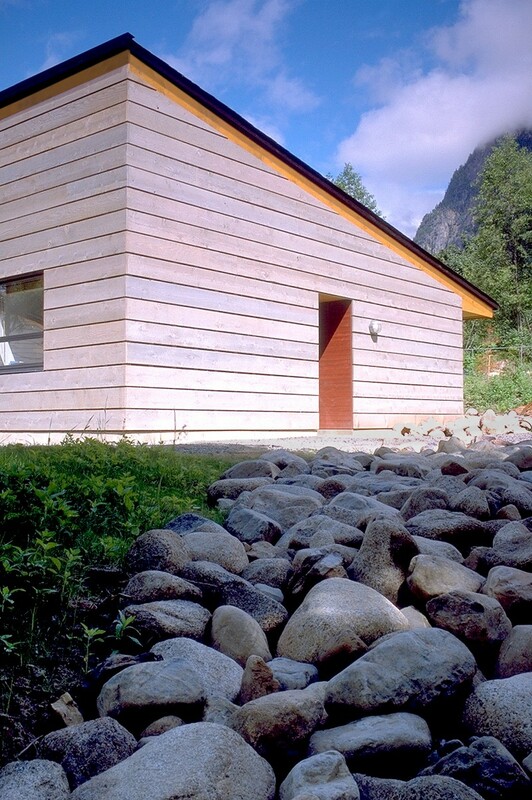 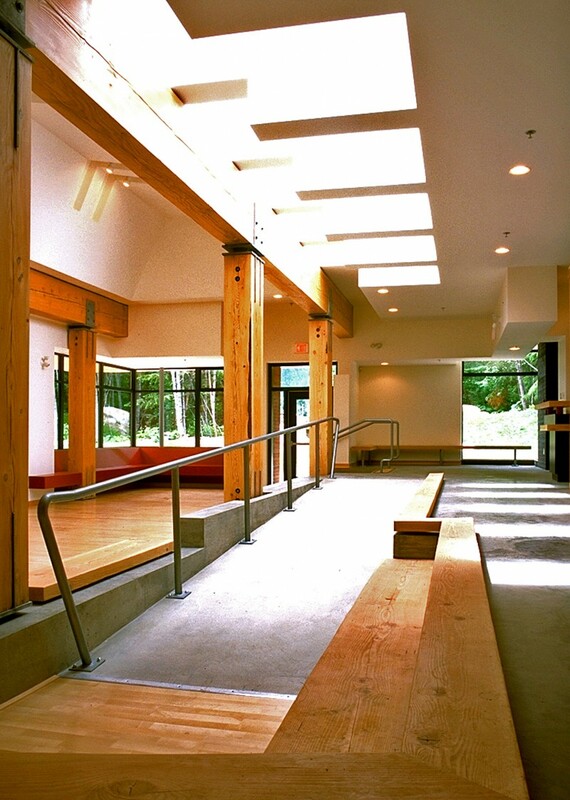 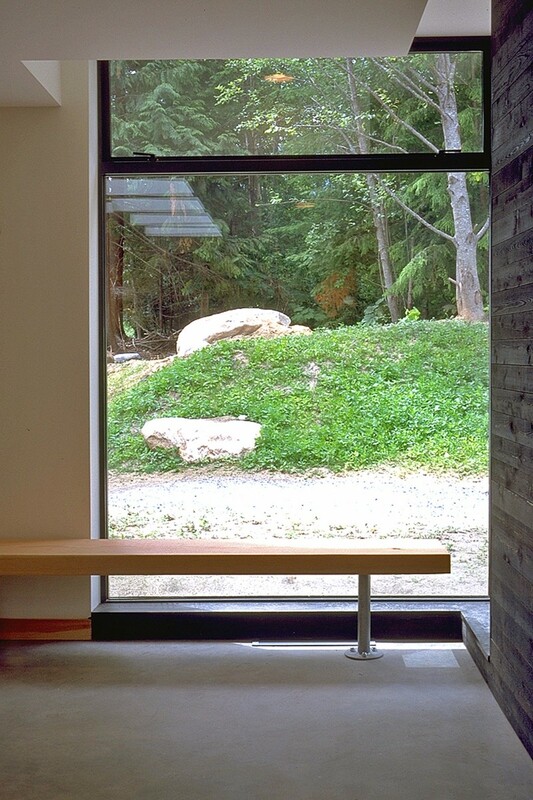 Completed in 1999, the design of the 690 square metre Mount Currie Health Centre & Day Care was inspired by principles of the medicine wheel and indigenous square-log houses constructed by the local Lil’wat people. 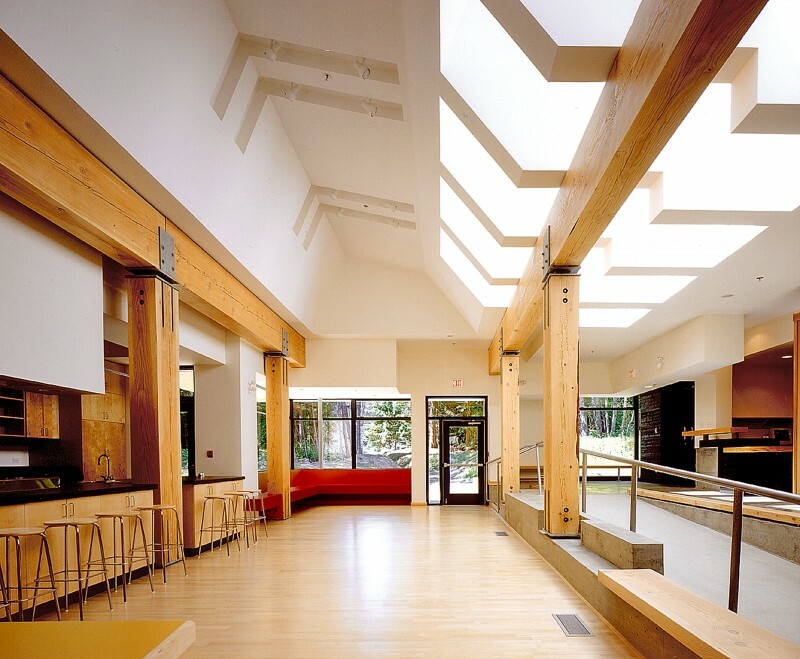 Program space includes community health care programs, child care, elders programs, social services, community gathering, communal food preparation and administrative facilities. 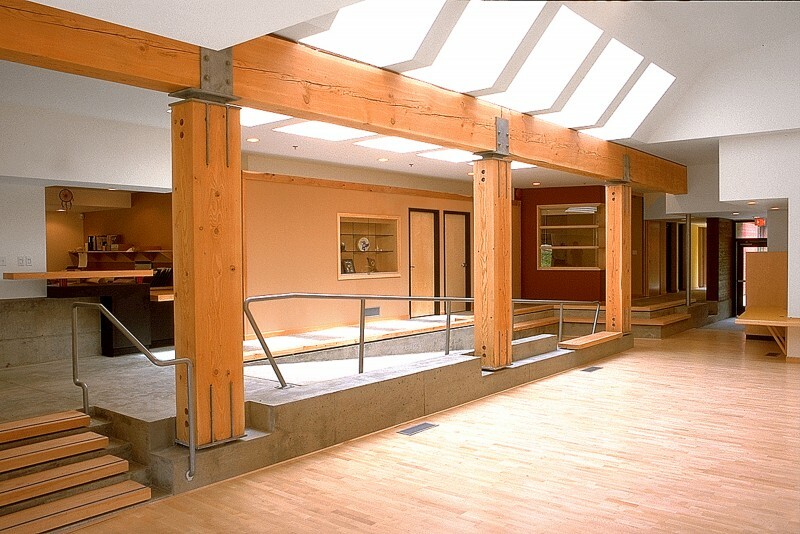 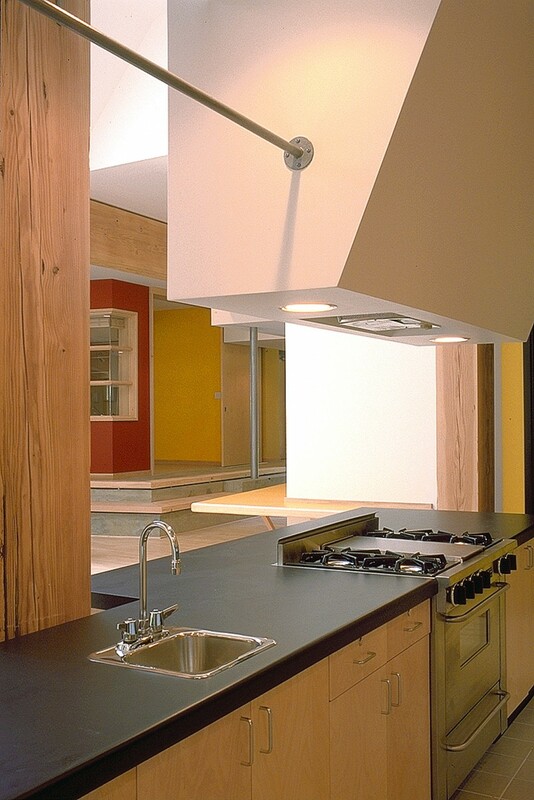 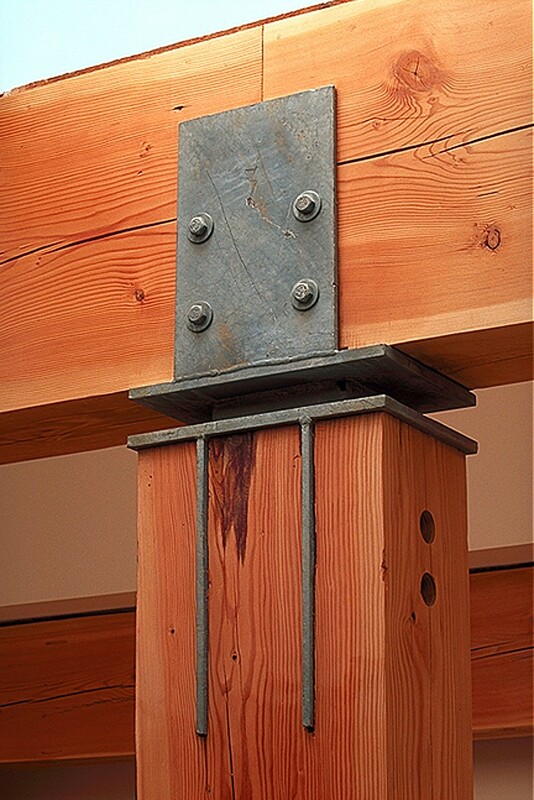 Construction materials include locally milled heavy timber posts, beams and siding; engineered wood trusses and concrete.